Amour Sterling Silver 2.41 Ct TGW Cubic Zirconia Charm Bracelet 8.25"
Amour 22k Yellow Goldplated Brass Gemstone Carnelian Bangle Bracelet 8"
Size:Chain Length :Approx. Material:Alloy,Crystal. It's a perfect accessory, also a good gift to your friends It will make you beautiful on picture. Suitable for any season. Condition:100% new and high quality. It's a perfect accessory, also a good gift to your friends It will make you beautiful on picture. Suitable for any season. Material: Alloy,Crystal. Color: Gold. Rate (item arrived). United Kingdom. Quantity: 4Pcs(1Set). Add a unique accent to your Bracelet collection. Material: Alloy,Crystal. It's a perfect accessory, also a good gift to your friends It will make you beautiful on picture. Suitable for any season. Quantity: 4Pcs(1Set). Material: Alloy Opal Rope Beads. Add a unique accent to your Bracelet collection. Size: approx.19-21cm 5cm (Adjustable)(As the picture show). It's a perfect accessory, also a good gift to your friends It will make you beautiful on picture. Quantity: 6Pcs(1Set). Add a unique accent to your Bracelet collection. Material: Alloy Beads Rope Crystal. Size: approx.18 5cm (Adjustable)(As the picture show). It's a perfect accessory, also a good gift to your friends It will make you beautiful on picture. Bead material: Lava Stone and Larvikite (Black Moonstone) [8mm],hardwood spacers. Professional-grade easy-to-wear stretch cord. 1 Bracelet. By buying from us we consider you have understood and accepted all of our policies. Material : Alloy,Crystal. Size :Length:approx.18 5cm/7.09" 1.97". Quantity: 6Pcs(1Set). Add a unique accent to your Bracelet collection. Size: approx.17-19cm 5cm (Adjustable)(As the picture show). Material: Alloy Crystal Beads Rope. It's a perfect accessory, also a good gift to your friends It will make you beautiful on picture. 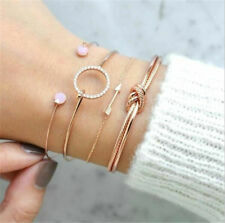 Style : Bangle. Color :Golden. 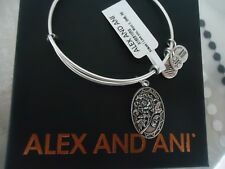 1 X Bracelet. 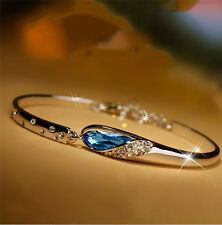 Material : Crystal,Alloy. It is a good gift for your lover,family,friend and coworkers. 8MM High Quality Lava Stone. I make any size bracelet. 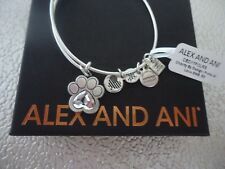 The bracelet is adjustable. You can follow below process to chontact us. All pictures are for illustration purpose only and Colours may vary slightly. 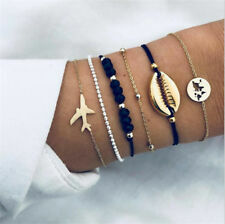 3Pcs Fashion Bracelet Set. Color: Gold ,Silver ,Rose Gold. Applications: Wedding Party ,Travel ,Party. hope you could understand. Quantity: 5Pcs(1Set). Add a unique accent to your Bracelet collection. Size: approx.18-19.5 5cm (Adjustable)(As the picture show). Rate (item arrived). United Kingdom. Quantity:1 pcs X bracelet. Jewelry Making. Body Jewelry. Finger Ring. We will provide corresponding resolution once we confirm the item problems. Due to the difference between different monitors, the picture may not reflect the actual color of the item. 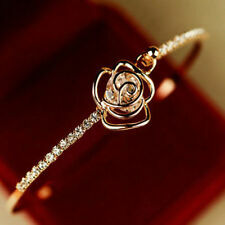 1 pc Bracelet. 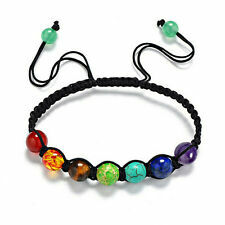 Size: 18.5cm adjustable, beads 5-10mm. Material: stone. hope you could understand. Color: As the picture. 7 Chakra Balance Healing，can reverse the people's misery and of bad luck,It brings good luck and fortune. You can attract good friends, honored person to help, good luck, good chance, good substances energy to proximity, which is wealth. Material :8 mm Matte Onyx. 8 mm Black Onyx. strong elastic cord, Reiki energy. Do you want receive fast?.